The Association of Asian American Yale Alumni – NY Chapter (AAAYA-NYC) cordially invites you to our Tenth Annual Lunar New Year Banquet in celebration of ten years of AAAYA Community Service Fellowships. 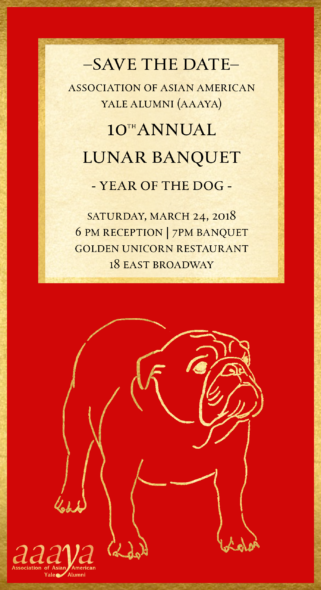 Ring in the Year of the Dog with us! More details and ticket information coming soon.